Electronic is in - a clear win! I could bore you with the details of this discovery, but there are really only two important facts about this that you need to know. There are still more forms of life for us to discover. The time for discovery continues. 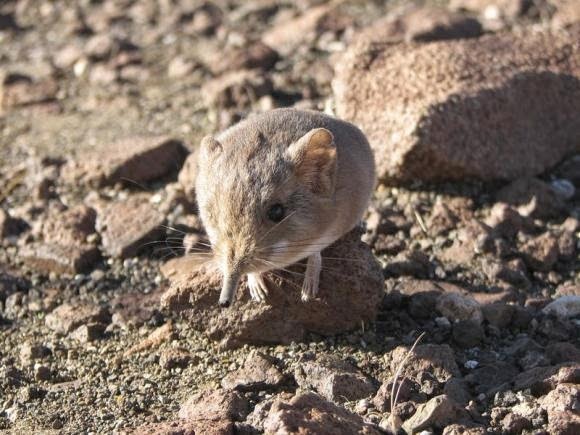 Elephant shrews are completely adorable! Nicholas Wig, 26, of Minnesota get the Idiot of the Week award. While robbing a house, Mr. Wig logged into his Facebook account, and left it connected. Then, the police found Mr. Wig wearing the stolen watch and carrying the stolen iPhone as if they belonged to him. I don't know what to say to Mr. Wig, except he might want to contemplate a career change into something a little less intellectually demanding.